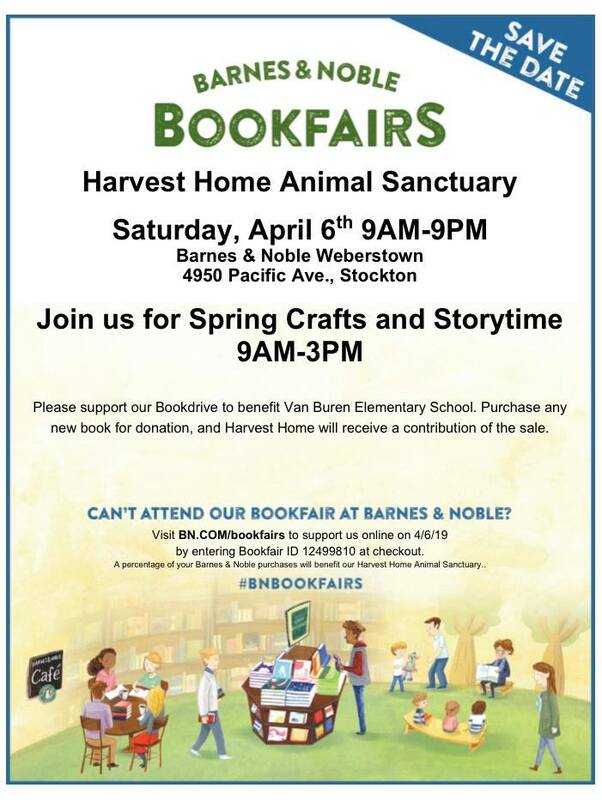 Mention “Harvest Home Sanctuary” at the cash register at Stockton’s Barnes & Noble store and a portion of the sale on all purchased items (books, toys, music, food and drinks) will be donated to the sanctuary all-day Saturday, April 6th. In addition, we are hosting an animal-themed book drive benefiting Stockton’s Van Buren Elementary. With each book purchase for the book drive, the sanctuary receives a portion of the sales proceeds. Mention “Harvest Home” at the cash register. Our book drive is a win-win for the animals and kids.